Tail-Gating Party, Field Rehearsal & Lamar Football Game - 10/7! I just want to say how proud I am of the Wolf Band. We have faced SO many obstacles in the past four weeks. It takes an incredible staff, members and volunteers to have ANY success with the incredible amount of hurdles thrown in front of us. I would like to thank every one of you for your patience and work ethic. Thank you! I have some exciting news! We will have our first "field time" rehearsal on 10/7 at Butler stadium. These rehearsals are crucial for our success because we don't have a field to practice on weekly. 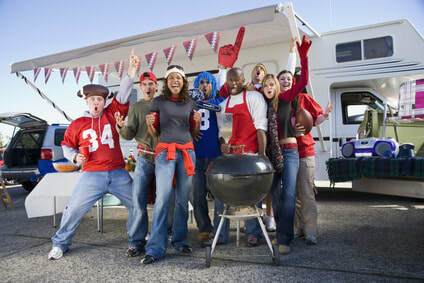 Before our game against Lamar, we will have a TAIL-GATING PARTY in the Del Mar parking lot! Bring corn hole, washers, frisbee, footballs, etc! Band Boosters will provide a cookout for our hard-working students and chaperones! Have a great much-deserved weekend! If you are a freshman that is interested in auditioning in the All State process please make sure you understand the freshmen cuts of the music. PLEASE let any director if you have any questions. Practice practice practice!